What was the two men’s crime? Their offense was courage.They sneaked into the Ogaden region to investigate reports of human rights abuses. New York, January 25, 2012--Jailed Ethiopian dissident blogger Eskinder Nega will stand trial in March for all of the terrorism accusations initially advanced by prosecutors, a federal high court judge ruled yesterday, local sources said. If convicted on all charges, he could face the death penalty. Judge Endeshaw Adane of the third criminal bench of the Lideta Federal High Court in the capital Addis Ababa reviewed evidence presented by government prosecutors yesterday and confirmed all six charges against Eskinder. His trial will begin March 5. Five other journalists, all in exile and to be tried in absentia, initially faced the same terrorism charges. At yesterday's hearing, the judge confirmed all six charges for two of those accused and dismissed all but one charge against three others. "This ruling is an affront to justice and underscores that these are politicized charges used by the government to intimidate journalists and chill news-gathering activities," said CPJ Africa Advocacy Coordinator Mohamed Keita. "We call for all terrorism charges to be dropped as they are baseless, and for Eskinder to be released immediately"
The two journalists besides Eskinder who still face all six charges are exiled editors of opposition broadcasters: Abebe Belew of the U.S.-based Internet radio Addis Dimts and Fasil Yenealem of the Netherlands-based ESAT, according to CPJ sources and news reports. Three other exiled editors -- Abebe Gellaw of the U.S.-based Addis Voice and Mesfin Negash and Abiye Teklemariam of U.S.-based Addis Neger Online -- will be tried in absentia under a single terrorism charge each, according to local sources. 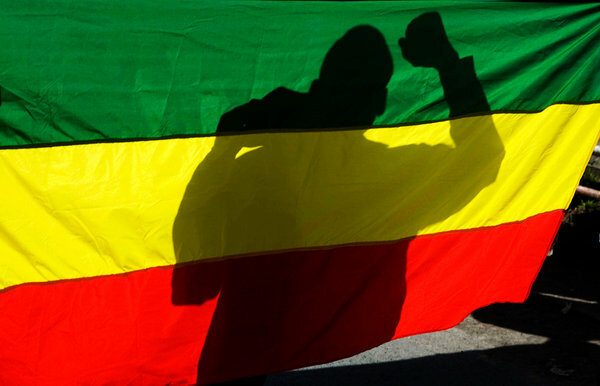 Ethiopia's antiterrorism law criminalizes reporting or publication of information the government deems favorable to groups designated as terrorists, which include opposition movements such as Ginbot 7 and the separatists of the Ogaden National Liberation Front. The government's application of the law against journalists and dissidents has been criticized by the United Nations and the U.S. State Department. The charges against the journalists are based on accusations of "disseminating terrorist ideas" to Ethiopians such as through ESAT TV, radio, Internet and Web chat forums such as Paltalk. The Addis Neger Online editors are accused of "lending professional support for terrorism," by "allowing terrorist organizations such as Ginbot 7, Oromo Liberation Front, and Ogaden National Liberation Front to express their terrorist ideas and promote their agendas on their online publication," according to a translation of the original charge sheet. Other charges are based on accusations of recruiting young people to membership of the groups designated as terrorist, and on treason and spying for Ethiopia's arch foe, Eritrea. Earlier this month, three other local journalists were convicted of terrorism charges -- one in absentia -- and they could face the death penalty, news reports said. Their sentencing is expected tomorrow. In addition, two Swedish journalists were sentencedin late December to 11-year jail terms after being convicted of supporting terrorism and entering Ethiopia illegally. In Africa, only Eritrea jails more journalists than Ethiopia, according to CPJ research. RAP NEWS 5: News World Order - the war on journalism (feat. Julian Assange) - YouTube: " "
ይህ፣ ለሰብአዊ መብት ተሟጋቾቹ ምን ያህል ተስፋ አስቆራጭ ነው? «እውነትህን ነው፤ ተስፋ አስቆራጭነት አለበት። የብሪታንያና የዩናይትድ እስቴትስ መንግሥታት፤ እንዲሁም ሌሎች በዓለም አቀፉ ማኅበረሰብ ጠንካራ የሆኑ መንግሥታት የኢትዮጵያን ባለሥልጣናት በጥብቅ የሚደግፉ ናቸው። እነዚህም መንግሥታት፣ በኢትዮጵያ ስላለው የሰብአዊ መብት ይዞታ ዐይተው እንዳላዩ የመሆን ዝንባሌ ነው የሚታይባቸው። A I ሌሎችም በመቀጠል ማድረግ የሚችሉት፤ ድምጻቸውን ከፍ አድረገው ማሰማት ፤ የሚያሳስቡ ሁኔታዎችን በሰነዶች ማሥፈር፤ በዓለም አቀፉ ማኅበረሰብ ውስጥ የተጠቀሱትን መንግሥታትም፣ በኢትዮጵያ ላይ ያላቸውን የጋራ አቋም እንዲለውጡ በተደጋጋሚ መጠየቅ ነው። ጥያቄውን ይበልጥ ባነሣን ቁጥር ከመገናኛ ብዙኀን ጋር መነጋገር እንችላለን። ስለአሳሳቢ ጉዳዮች፣ ስለሰብአዊ መብት ጥሰት በማንሳት! It would be hard to find a better symbol of media repression in Africa than Eskinder Nega. The veteran Ethiopian journalist and dissident blogger has been detained at least seven times by Prime Minister Meles Zenawi's government over the past two decades, and was put back in jail on September 14, 2011, after he published a column calling for the government to respect freedom of speech and freedom of assembly and to end torture in prisons. Eskinder now faces terrorism charges, and if convicted could face the death sentence. 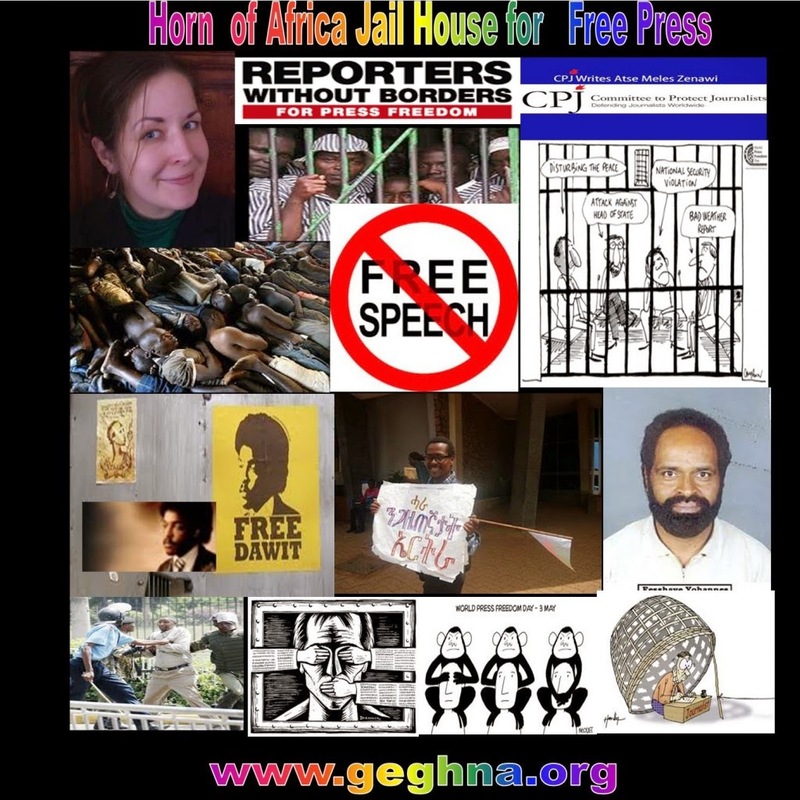 He's not alone: Ethiopia currently has seven journalists behind bars. More journalists have fled Ethiopia over the past decade than any other country in the world, according to CPJ. Eskinder could easily have joined them. In February 2011, he was briefly detained by federal police and warned to stop writing critical stories about Ethiopia's authoritarian regime. The message was clear: it's time to leave. Eskinder spent part of his childhood in the Washington D.C. area, and could have returned to the U.S. He didn't. Instead he continued to publish online columns demanding an end to corruption and political repression and calling for the security forces not to shoot unarmed demonstrators (as they did in 2005) in the event the Arab Spring spread to Ethiopia. That's landed him back in jail--where he could remain for years in the event he avoids a death sentence. Since then a group of journalists, authors and rights activists have organized a petitioncalling for the release of Eskinder and other journalists unjustly detained by Ethiopia's government. Among the signatories are the heads of the U.S. National Press Club, the Open Society Foundations, Human Rights Watch and the Committee to Protect Journalists. The petitioners also include Maziar Bahari, the Newsweek journalist jailed by the Iranian government for four months in 2009; three former BBC correspondents in Ethiopia; development economist William Easterly; the Christian Science Monitor's Marshall Ingwerson and others. 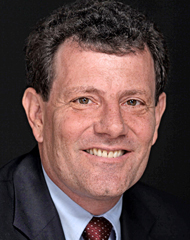 The campaign also included a letter published in The New York Review of Books, contacts with the U.S. State Department, press releases, and media interviews. Still, making an impact is difficult. Eskinder was just one of 179 journalists jailed worldwide as of December 1, 2011, according to CPJ data. In addition, Ethiopia is viewed as a strategic partner for the West in combating terrorism and instability in East Africa, making Western governments less likely to press Zenawi on human rights abuses. People have asked me why we should try to help someone who could have saved himself by fleeing the country. It's a good question. I suspect that even if he were to be released tomorrow, Eskinder would stay in Ethiopia and continue writing and publishing online--at the risk of being thrown back in jail. After all, this is a reporter whose wife, journalist Serkalem Fasil, gave birth while they were both in jail following the 2005 elections. When they were released in 2007, Serkalem and Eskinder were banned from reopening their newspapers. To survive, they rented their house in central Addis Ababa to a team of Chinese telecom workers and moved to a poor neighborhood on the outskirts of the city. Like many good journalists, Eskinder is stubborn to a fault. Standing for free speech in Ethiopia can seem a Sisyphean task, but if Eskinder is principled enough to risk more years in jail - and possibly the death sentence - it's our obligation to stand with him. STOCKHOLM (AP) — Two Swedish journalists convicted of supporting terrorism in Ethiopia say they will seek a pardon from the African country's government instead of appealing their 11-year prison terms. In a brief statement emailed Tuesday to The Associated Press by their spokeswoman Anna Roxvall, Martin Schibbye and Johan Persson said "there's a tradition of pardoning and forgiving in Ethiopia and we choose to trust in this tradition." The reporters were captured by Ethiopian troops six months ago after illegally entering the country with the help of an ethnic Somali rebel group. They have acknowledged illegal entry but denied the terror charges, saying they were gathering news about a Swedish oil company exploring Ethiopia's Somali region for oil.